With the SELPHY CP910 Wireless Compact Photo Printer, celebrating your special memories has never been more convenient. 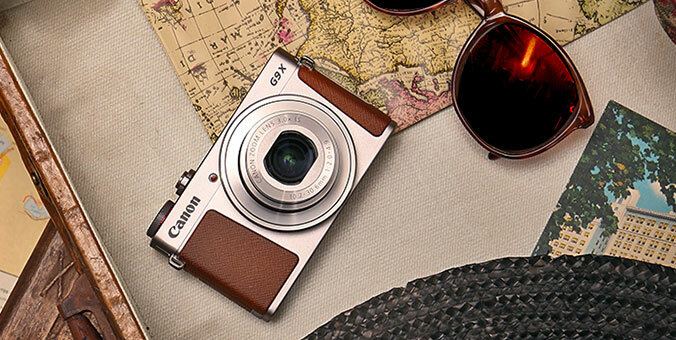 Lightweight and compact in size, the SELPHY CP910 is easy to take just about anywhere. But it's more than just portable; it's also loaded with features, like Portrait Image Optimize, which allows you to relive those cherished moments with beautiful and long-lasting borderless 4" x 6" photo prints. What's more, it's AirPrint™ enabled, making wireless printing from your iPhone®, iPad®, or iPod touch® almost effortless. No drivers are needed! And Mobile Device Printing allows images on compatible iOS, Android and Windows RT devices to be sent directly to the printer as well. Plus, with its new Access Point Mode, the SELPHY CP910 allows you to directly connect your wireless camera or smart device without the need of a network. 1)	Wireless printing requires a working Ethernet network with wireless 802.11b/g or n capability or a camera that supports DPS over IP. Wireless performance may vary based on terrain and distance between the printer and wireless network clients. 2)	AirPrint functionality requires an iPad, iPhone 3GS or later, or iPod touch 3rd generation or later device running iOS 4.2 or later, and an AirPrint-enabled printer connected to the same network as your iOS device. A printer connected to the USB port of your Mac, PC, AirPort Base Station, or Time Capsule is not supported. 3)	Requires Canon Easy-PhotoPrint for iPhone app, available for free on the App Store, Canon Easy-PhotoPrint for Android app available for free on Google Play, or Canon Easy-PhotoPrint for Windows RT, available for free in the Windows Store. Compatible with iPhone 3G, 3GS, 4, 4S, 5, iPad, iPad mini, iPod touch, Android devices running Android OS 1.6 or later, and Windows RT devices. 4)	Based on accelerated dark storage testing by Canon under controlled lighting, temperature and humidity conditions. Canon cannot guarantee the longevity of the prints; results may vary depending on printed images, display/storage conditions and environmental factors. 5)	Print speed obtained using compatible Canon compact digital camera incorporating DIGIC II <other camera models may vary>. 6)	Compatible memory cards include SD™ Memory Card, SDHC™Memory Card, SDXC™ Memory Card. The following can be used with the addition of a special adapter sold separately: miniSD™ Card, miniSDHC™ Card, microSD™ Card, microSDHC™ Card, and MicroSDXC™ Card. 7)	Supports DPOF "Both" mode of both standard and index printing. 8)	System requirements vary by application. For Mac OS, an Internet connection is required during software installation. For Windows OS, .NET Framework 4 is required to install My Image Garden, Quick Menu, and Easy-WebPrint EX software. 9)	Warranty programs are subject to certain conditions and restrictions. See www.usa.canon.com/support for details. 2.7" Tilt-up LCD: Easily view, select and edit your images for simple, computer-free printing with this adjustable full-color display. Borderless Printing: Print gorgeous edge-to-edge, borderless photos in credit card and postcard sizes. Memory Cards & USB Flash Drive: Don't feel like using a computer? No problem. Just insert a compatible memory card6 into the built-in card slot, or a USB Flash Drive into the USB port, select images on the LCD display, and print! Optional Battery: The optional NB-CP2L (Requires CG-CP200 Charger Adapter) is your path to truly portable printing power.